For reasons I don’t know, poetry has always been complicated. I know a lot of good readers who resist reading poetry. Reasons are similar: “I don’t understand it”; “Poetry is boring”. But the point is we don’t have to ‘understand’ poetry. When we read poetry we don’t have to look for action nor time nor a story. Poetry is silence. It’s a return to that point where we look without looking; it’s to return us to the useless place of childhood when we picked up stones or save tree leaves into a notebook pages. María José Ferrada’s book, illustrated by Jorge Quien, calls us to observe a minute, an hour, a life of silence, for children’s lost lives. Today we know these children’s names because they didn’t have to die but they did and that’s why their names were written in a Truth Report. I omit the word reconciliation because last two pages of this book make me wonder if that long-awaited reconciliation will be possible ever. Because the last two pages of this book contain thirty-three executed children names by Chilean military dictatorship. But after those few seconds of look without looking, we come back to the book, we come back to its title; we come back to the last two pages. 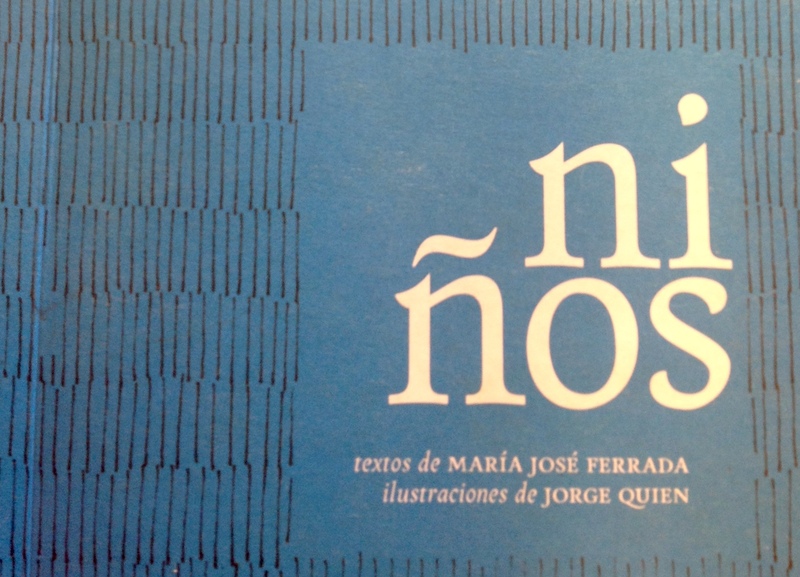 Niños is a poetry book that we don’t have to understand. It’s a beautiful but hurting book. It’s a book that should have never been written, but it was. It’s a book that yells us in the face, yells us in our memory: never again.